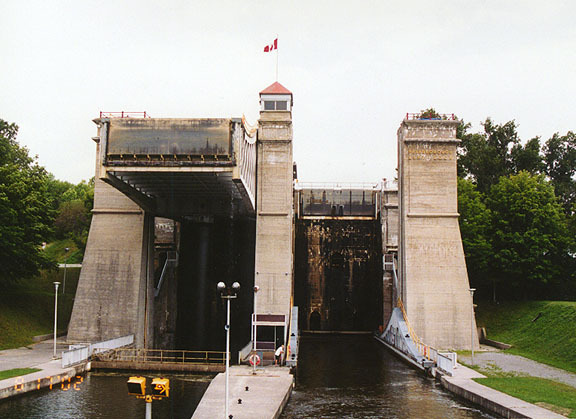 This massive structure stands almost unchanged since its construction in 1904. 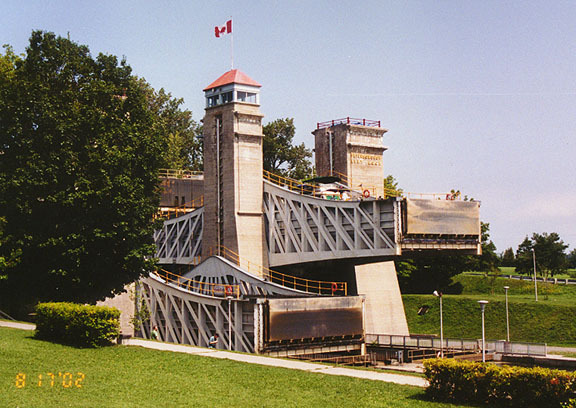 It vas completed in eight years, requiring over 26 000 cubic yards of poured concrete, with no reinforcing steel. 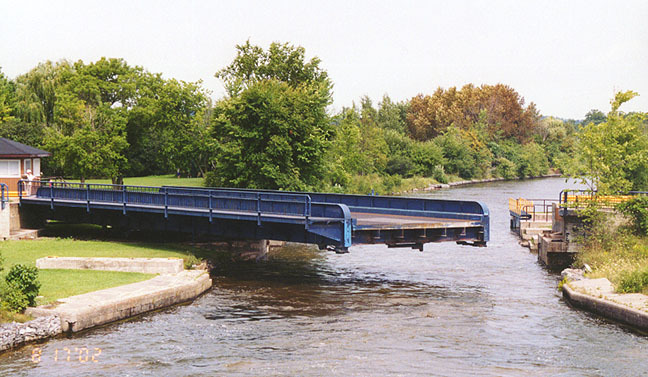 The cost of completion was one-half million dollars. 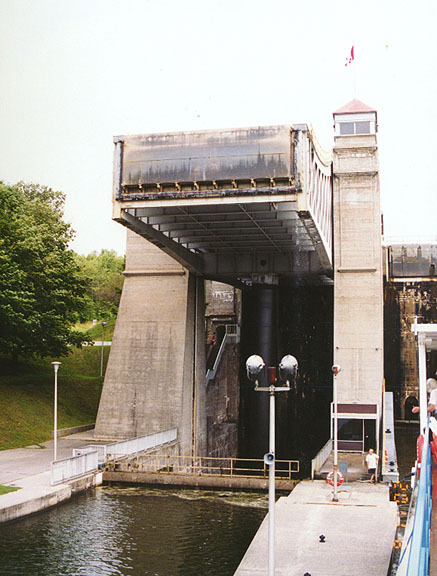 This lock works on the same principle as the Kirkfield Liftlock, and the chambers have the same dimensions. 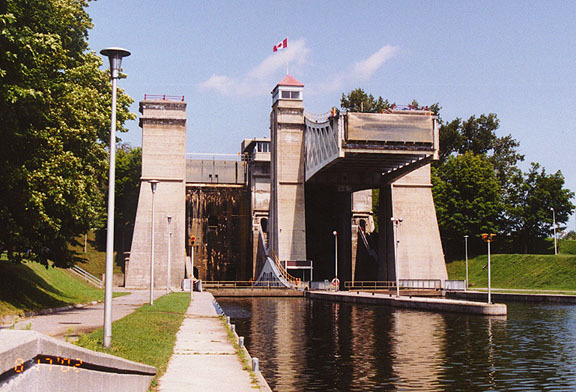 The drop here however is 65 feet, making it the world’s highest liftlock by 15 feet. 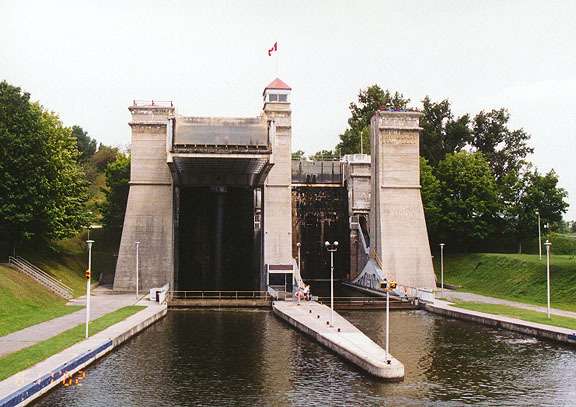 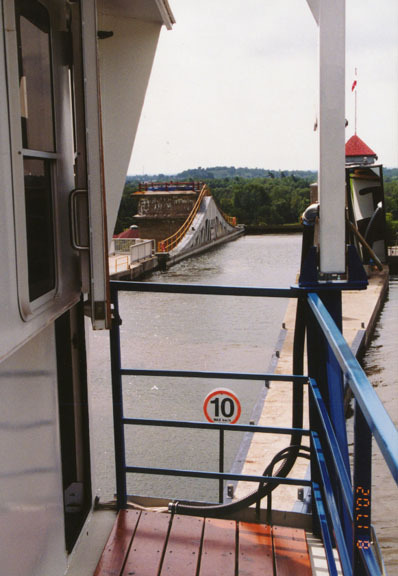 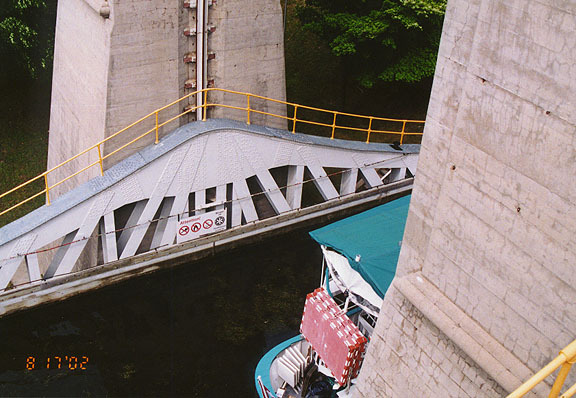 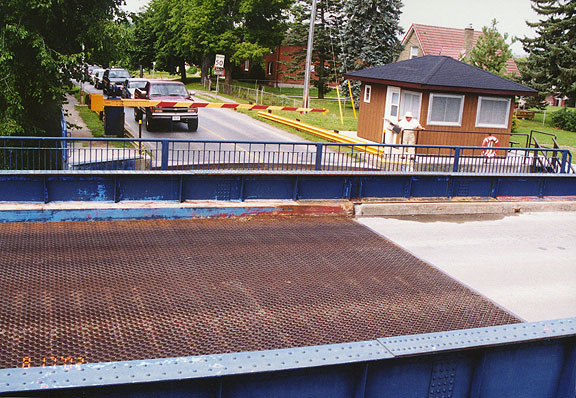 In 1999, the Peterborough Hydraulic Lift Lock became he first Canadian site to be designated by the American Society of Mechanical engineers as an international landmark. 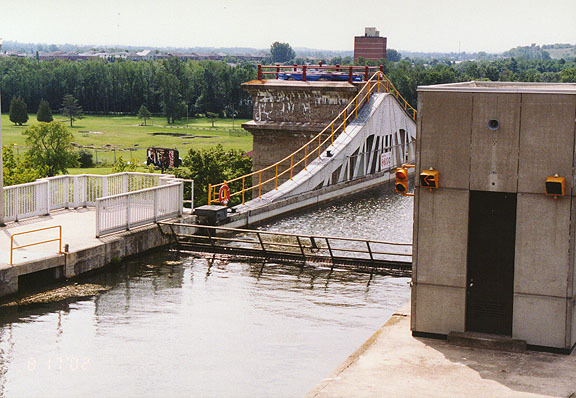 The building with the clock tower known as Time Square, used to be the old Westclox factory, built in 1922. 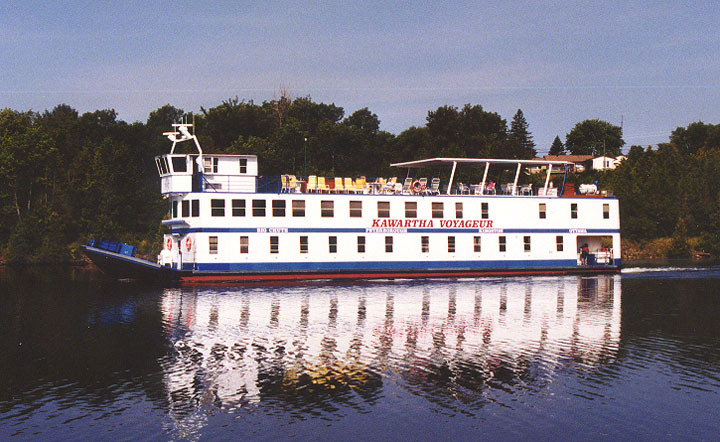 It has now been renovated into apartments. 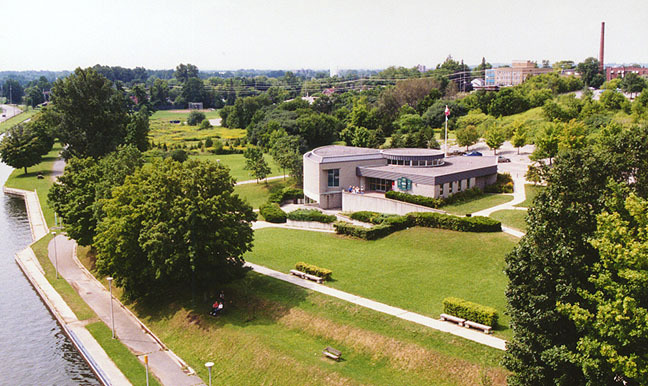 The former St. Joseph’s Hospital (now St. Joseph’s Health Centre) is just beyond Time Square.